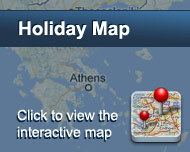 Hotel France is built in a beautiful location in Kastraki village. It is the ideal place to stay for those wishing to explore the natural beauties of the area and visit the Meteora Monasteries. The hotel is operating for many years now, offering all modern comforts in order to make you feel at home. It is open all year round. It has 25 spacious rooms and features a breakfast room, bar, parking space, children’s playground and WiFi Internet access. The rooms are spacious and beautifully decorated. They all have heating, A/C, bathroom, hairdryer, telephone, TV and balcony with nice view to Meteora rocks or Kastraki village. The privileged location of Hotel France makes it the ideal starting point for your tours around Trikala prefecture. It is only 1.5 km from Kalambaka and 1 km from the first monastery of Meteora. 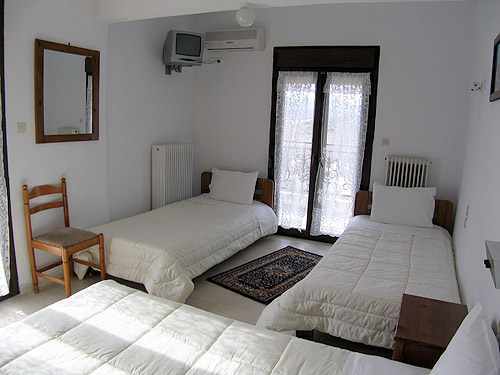 The cozy atmosphere and the warm hospitality will leave you with the best memories from your holidays in Kalambaka. Είστε ιδιοκτήτης ή διευθυντής στο FRANCE HOTEL; Εγγραφείτε τώρα για δωρεάν εργαλεία, που μπορείτε να χρησιμοποιήσετε για να βελτιώσετε την καταχώρησή σας και να συνδέσετε την ιστοσελίδα σας και το σύστημα κρατήσεών σας.